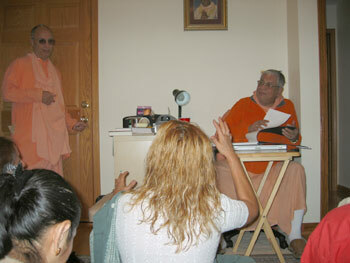 Srimati Laxmi Rani (Mexico City) enters Srila Gurudev's veranda with great enthusiasm and offered him an published album with pictures of devotees. 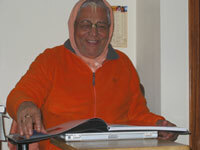 "Oray Baba!" 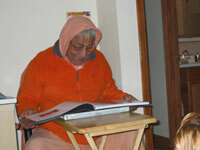 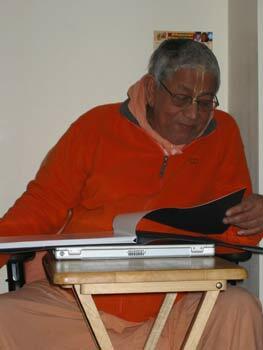 Gurudev exclaims as he looks through the pages. 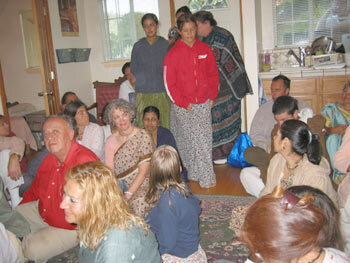 Many devotees from Latin America present.